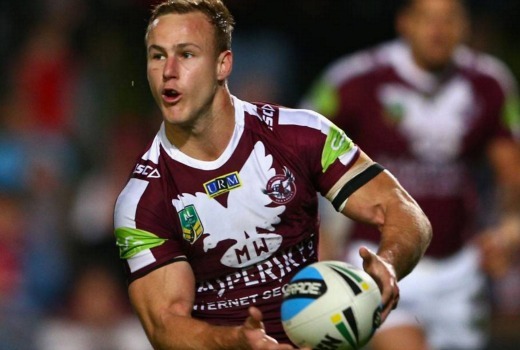 Nine varies NRL deal, new Thursday night game. Nine has confirmed variations to its NRL broadcast rights for the 2016 to 2022 seasons. For the 2016 and 2017 seasons, Nine has agreed to permit FOX Sports to simulcast matches (other than the State of Origin and the Grand Final), in return for a payment of $20 million per annum. Nine and FOX Sports have also agreed with the Australian Rugby League Commission to move the delayed Friday night game to a Live Thursday night slot (for 18 weeks in 2016 and 23 weeks in 2017). For the 2018 to 2022 seasons, FOX Sports will simulcast Nine’s matches (other than the State of Origin and the Grand Final) and the Saturday night match will then be licensed to FOX Sports. Nine will also broadcast the last 5 Saturday matches from 2017. The variations mean Nine has more matches Live, from approximately 150 hours in 2015 to approximately 240 hours from 2018. The agreement with Foxtel means Nine’s average cost over the 2018 to 2022 rights period will now be $125 million per annum, inclusive of contra, down from the previously announced $185 million per annum. If i was the new CEO at Nine i would have asked for a lot more than 20 million dollars. I would have asked for between 50 and 80 million per year in order for FOX Sports to be able to simulcast the Nine Network games. Nine Network had the upper hand i think NRL got freaked out and gave in to FOX Sports. Just wonder how much nine was asking for? Still they keep exclusivity of SoO and Test matches. The deal already had 4 games live on Nine. Th, Fr, Sa night and Sunday afternoon and Nine had streaming rights for those games. The NRL reserved the right to sell the other games and simulcasts of Nine’s games to Pay TV. Nine’s payments automatically reduced if the games were simulcast and not exclusive. Foxtel weren’t happy with the fact that they weren’t consulted, lost exclusive rights to the Saturday night game and Nine would get the best 4 games every week. Now Nine has sold the Saturday game (which they didn’t really want but the NRL wanted on FTA to compete with the 4 AFL live on FTA) back to Foxtel. Foxtel agreed to pay to simulcast Nines games, in exchange to a guarantee about the quality of the games they exclusively get. And some of the changes from the new deal, which were due to start after the current deal expired, have been brought forward. “best 4 games every week”, or the “4 best rating games in Sydney” The Melbourne Storm has only 2 televised games this year, according to the draw, until round 21. The team, finishing in a top four position in 2015 has only two televised games in 20 rounds. Once again…we need to define “best”. I was also looking forward to a free-to-air Saturday game. Hopefully the simulcast means Nine will have to stop running promos for their shows down our throats during games. So what happens if the game on 9HD goes overtime do they put the news on GEM or leave 9HD for the news and put the game on GEM SD? The only game that is before the news is the Sunday 4pm game and that started being shown live. Hardly ever ran late and when it did the news started a few minutes late. Sport takes precedence over everything! If it runs late all the following programs run late until the next sporting event or an executive decision is received. Except when Seven moves the golf to Seven 72 that last two days to keep The Chase starting at 4:58pm, or the Tennis to keep the news starting at 6pm. Or when Nine moved the cricket to Gem to keep the news on at 6pm Thursday during the Brisbane test. On Friday they delayed everything 30 minutes and got lots of complaints when the movie started late and finished after midnight.